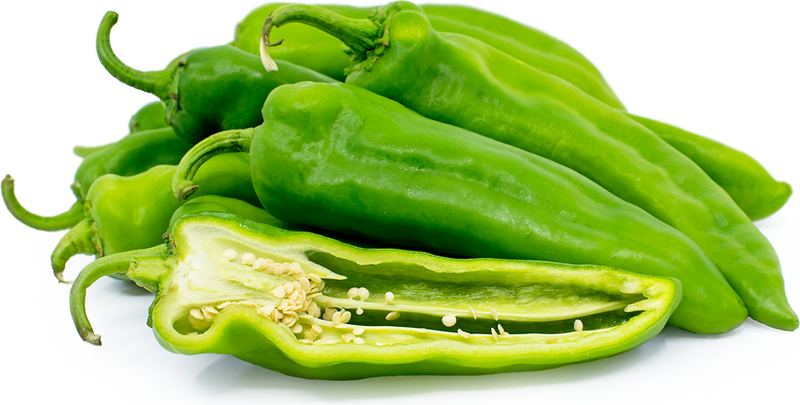 Green Anaheim chile peppers are available year-round with a peak season in mid-summer. Anaheim chile peppers, also known as the California chili or Magdalena is a perennial chile pepper grown primarily as an annual. When reaching full maturity, the Anaheim chile is known as chile Colorado. In dried form the Anaheim chile is called chile Seco Del Norte. Anaheim chiles are of the species, Capsicum annuum, a species of peppers native to South America. All Capsicum annuum cultivars are green when unripe and will eventually become red, some varieties turning brown and near black when reaching full maturity. The Anaheim chile's principal use is for canning, though they are also sold widely as a fresh market mild chile pepper. Anaheim chiles are commonly used to make chiles rellenos. However, they can be included in a number of dishes that call for a mild, sweet chile. To get the most flavor out of the pepper, fire roast it until the skin is charred and then peel off the skin. Anaheim chiles can be used in sauces, stews, as a vegetable in a side dish or eaten as an appetizer or first course. Anaheim chiles pair well with aged cheeses, fresh young cheeses, pork, poultry, corn, tomatoes, eggs, black beans, and spices such as cumin and corriander. Anaheim chiles, as with most mild green chiles, are used primarily in Latin cuisines throughout Mexico, California, Southwestern United States and Latin communities throughout America. They are the chile made famous by Ortega, which has been selling them as a canned fire roasted chile pepper since 1897. 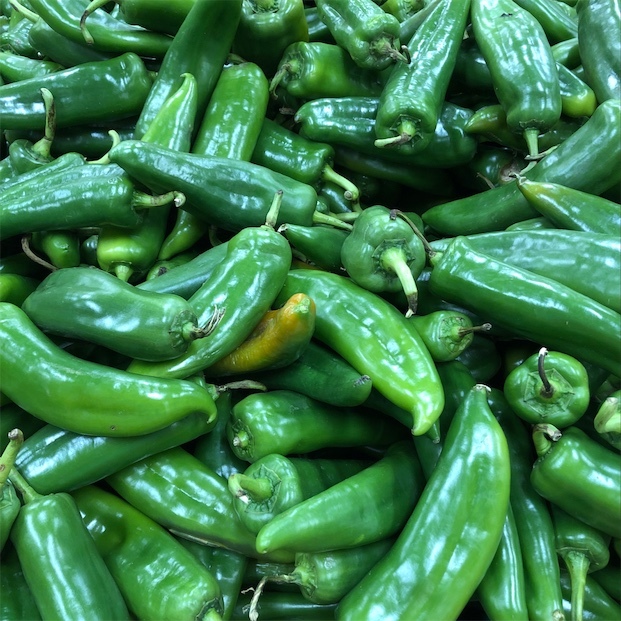 Although Anaheim chiles received the given name "Anaheim" due to the farmer named Emilio Ortega who brought seeds of the chile to Anaheim, California where he opened a pepper cannery in the late 19th century, the chile is simply a transplanted New Mexico green chile. The Anaheim chile's original ancestors are mild green chiles that have been growing in New Mexico for centuries. Their appearance may have been different, their heat level higher, their sizes smaller but essentially these varieties are still being cultivated today. Anaheim chiles prefer warm to hot and dry climates with long days and cool nights for optimal growing conditions. They are grown throughout Southern California and of course, New Mexico.  Recipes that include Green Anaheim Chile Peppers. One is easiest, three is harder. 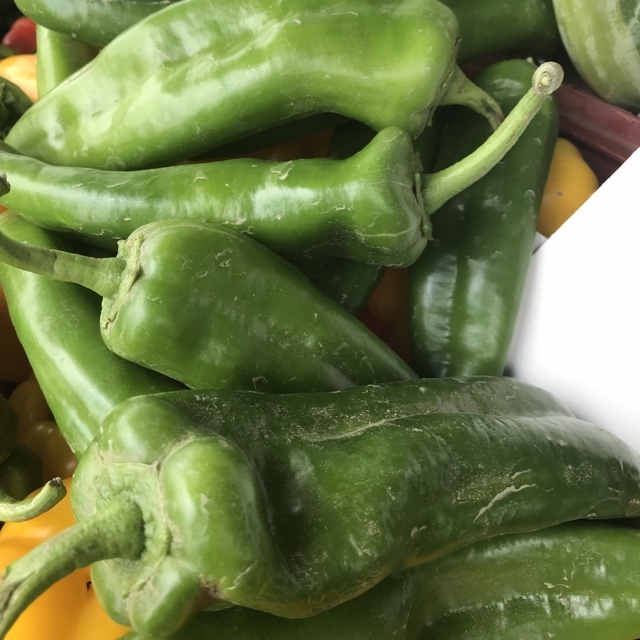 People have shared Green Anaheim Chile Peppers using the Specialty Produce app for iPhone and Android. 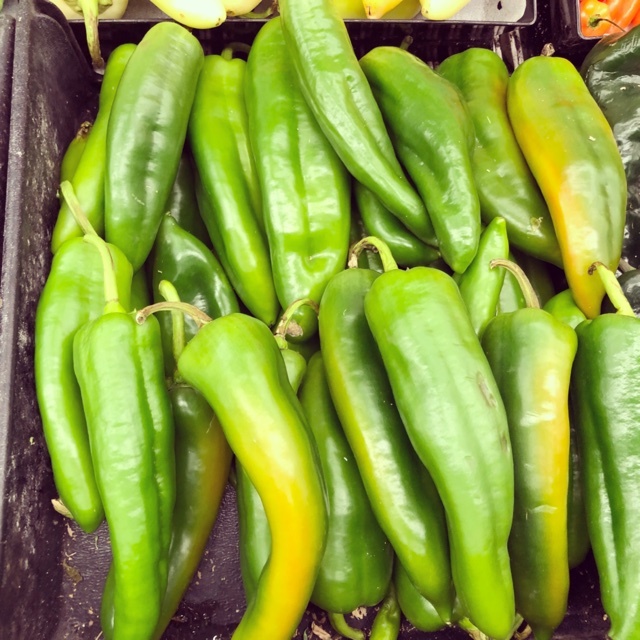 Sharer's comments : Green Anaheim Chile Peppers spotted at Leon Produce Market. 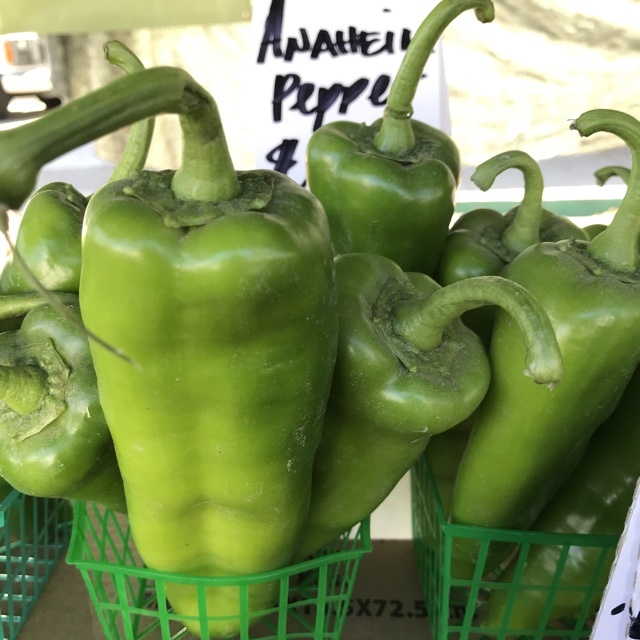 Sharer's comments : Green Anaheim Chile Peppers spotted at Poway Farmers Market. Sharer's comments : Green Anaheim Chile Peppers spotted at First Alternative Natural Foods Co-Op.